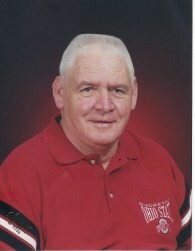 Alvin Odes Bame, 79, of New Carlisle, born July 21, 1939 to Leroy & Hattie Mae Bame in Dayton, Ohio. He went to his eternal life Jan. 23, 2019 at home in his favorite chair. Al served in the U.S. Army as a Hawk Missile Systems Instructor from 1962-1965. He was a 35 year employee of Duriron/Flowserv as a shipping/receiving clerk. Al served as a football coach for the New Carlisle Cubs in the 1970’s-1980’s. Longtime baseball coach in the New Carlisle Baseball Association. He was a frequent volunteer for the Tecumseh H.S. Athletic Boosters. Al loved to fish, hunt, bowl, travel, take pictures, cheer on the Buckeyes, Dayton Dragons baseball, Bassett Hounds (most dogs), & spoil his grandchildren. He was preceded in death by son, Henry; parents, Leroy & Hattie Mae & sister, Agnes Claxton. Al is survived by his wife of 54 years, Kathy. As well as sons, Ed (Michelle) & Mike (Leia), both of Westerville. His six grandchildren, Meghan, Matthew, Payton, Katie, Kristen & David. His brothers, Ed & Jack; sister, Anna Trainer; & many loving nieces & nephews. Family & friends may call at TROSTEL CHAPMAN DUNBAR & FRALEY FUNERAL HOME, 507 Jefferson St., New Carlisle 45344 on Tues., Jan. 29, 2019. Visitation is from 5-7 p.m. with a memorial service & celebration of life to follow at 7 p.m. In lieu of flowers make a donation in Al’s name (memo line) to Tecumseh Athletic Boosters, 9830 W. National Rd., New Carlisle 45344 or Westerville South Athletic Boosters, 303 S. Otterbein Ave., Westerville 43081. | 838 E. High St.
| 507 W. Jefferson St.